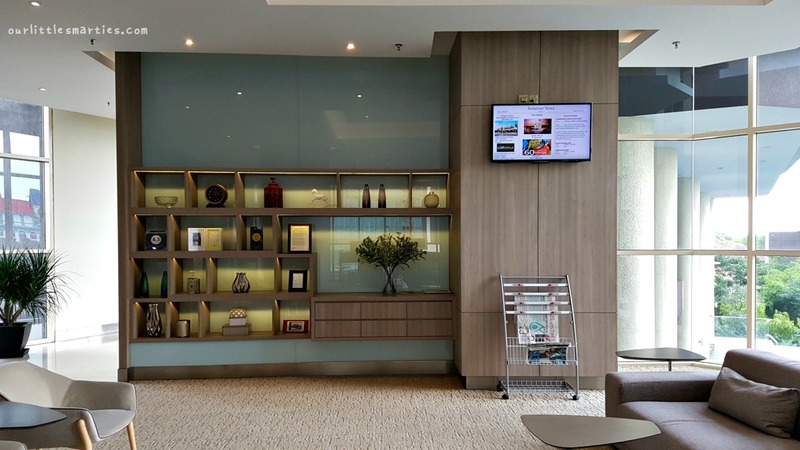 Somerset Medini Iskandar Puteri is part of a large chain of serviced apartments worldwide managed by The Ascott Limited. 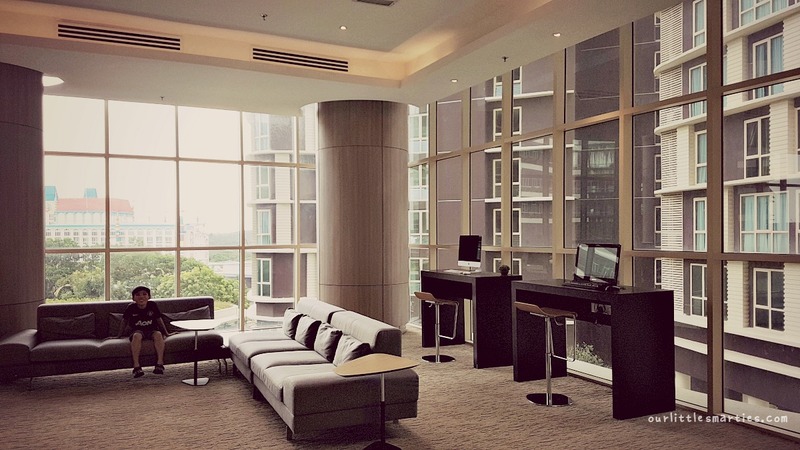 In fact at Nusajaya, there are 2 serviced apartments under The Ascott Limited. The other one is located next to Hello Kitty Land, and it’s called Somerset Puteri Harbour Iskandar Puteri. 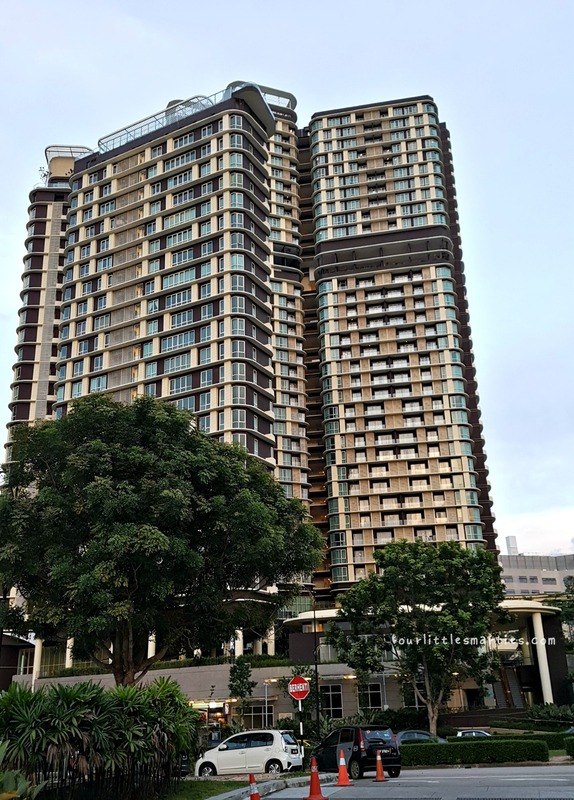 At 33 storeys high, Somerset Medini Iskandar Puteri offers more than 300 units of studios and apartments for families of all sizes at affordable rates. Two months ago, I met up with my brother’s family in Nusajaya as we planned to bring our kids to LEGOLAND. 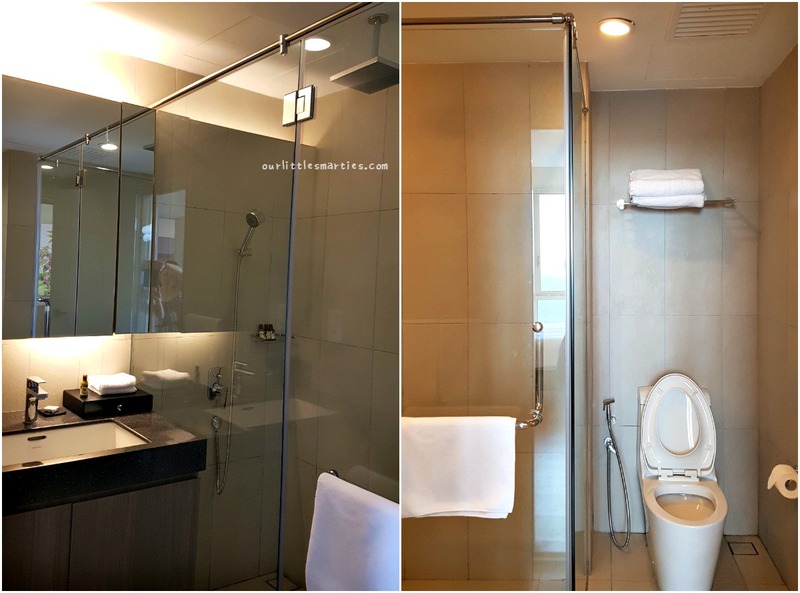 We stayed at Somerset Medini. I booked a 1-Bedroom Premier for our family of three. My brother, on the other hand, booked a 2-Bedroom Premier for his family of four. From this apartment to LEGOLAND, it’s only 5 to 10 mins of leisure walk. 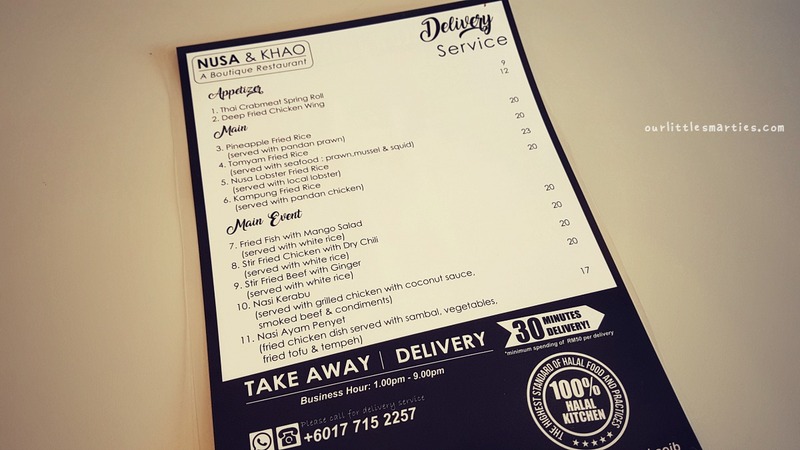 To get here, you just need to walk from LEGOLAND to the opposite Mall of Medini. Take an escalator to level 1 of the mall and walk across the street. The apartment is right there. For those who drive, there are plenty of basement carpark lots. There is no complimentary parking for guests but a highly discounted rate is offered. RM10 nett for 3D2N that includes multiple entries – I find it very affordable. 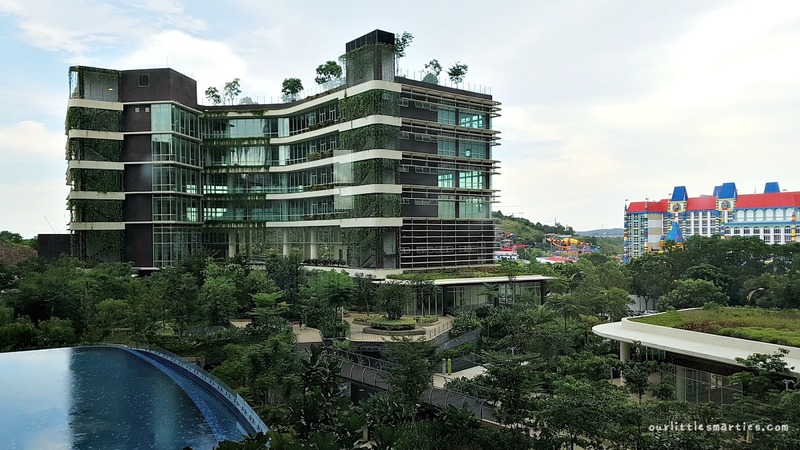 There are 4 apartment types in Somerset Medini ranging from Studio Premier (up to 3 pax) to 1-Bedroom Premier (up to 3 pax), 2-Bedroom Premier (up to 5 pax) and 3-Bedroom Premier (up to 7 pax). Our 1-Bedroom Premier comes with a bedroom with king-size bed, living area with sofa, dining area with 4-seater table, a kitchenette equipped with utensils, microwave and induction cooker, a private balcony (locked for safety reasons) and a bathroom (no bathtub though). It also comes with the usual hotel amenities such as private safe, hair dryer, bath robes, mini bar, WiFi, etc. I didn’t bring my camera on this trip – felt like travelling light on that day. All the pictures in this post were taken using my mobile phone. Argh, I realized how difficult it is to shoot in tight spaces without my wide-angle lens. Sorry for the poor quality photos. View from our apartment – simply breathtaking! 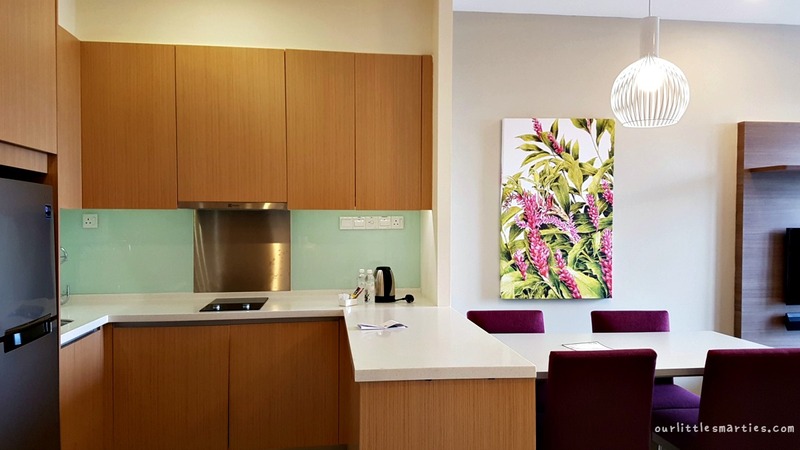 The apartment furnishing is simple and nice – though not as plush as a hotel. With the size of 624 sq. ft., I find that it’s quite spacious and comfortable. Cleanliness is acceptable, but I find it slightly “older” than my expectation since it was only opened 2 years ago. Overall, it’s a perfect choice for small family like us. Our apartment is located on the highest floor and it has an amazing view of the entire LEGOLAND resort. 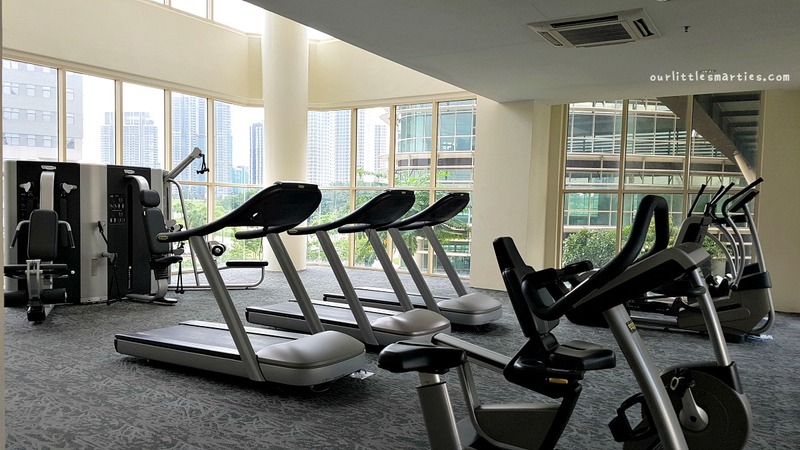 The service apartment also provides the usual hotel facilities such as gym, infinity pool, wading pool and children’s play room. The infinity pool is quite small but it has a great view of the theme park. 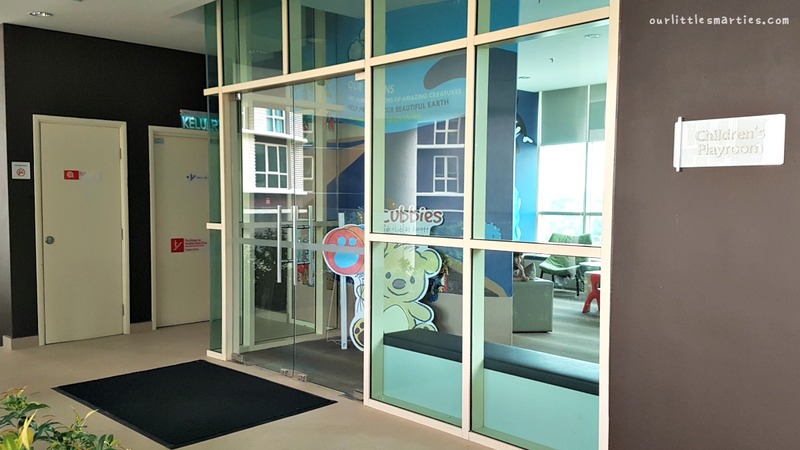 Gym and children’s play room are also located in the same floor. 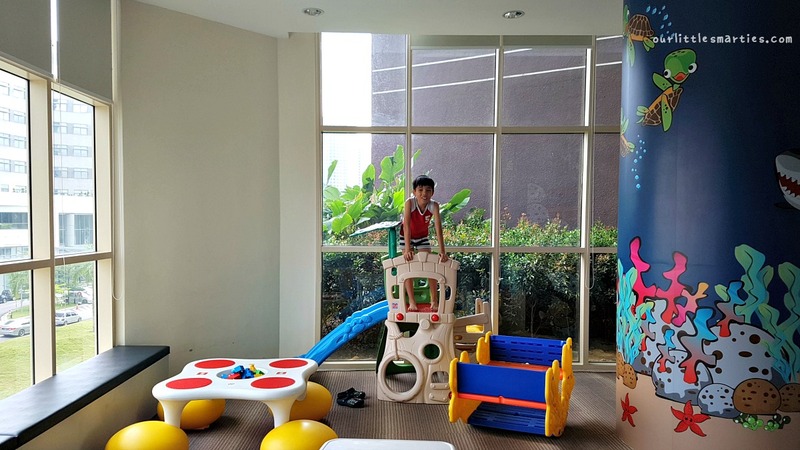 The play room is equipped with TV, LEGO table, a mini slide and other toys – suitable for toddlers and young kids. Additionally, I also like its lobby. Beautiful and spacious. There are sofas, TV, newspapers and computers for guests to help themselves to. 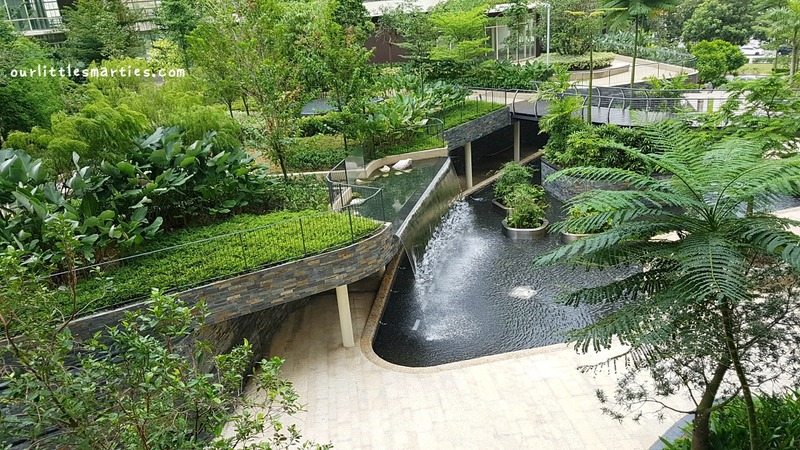 The Oasis Green Garden is certainly not to be missed too – it’s perfect for taking a stroll after dinner. 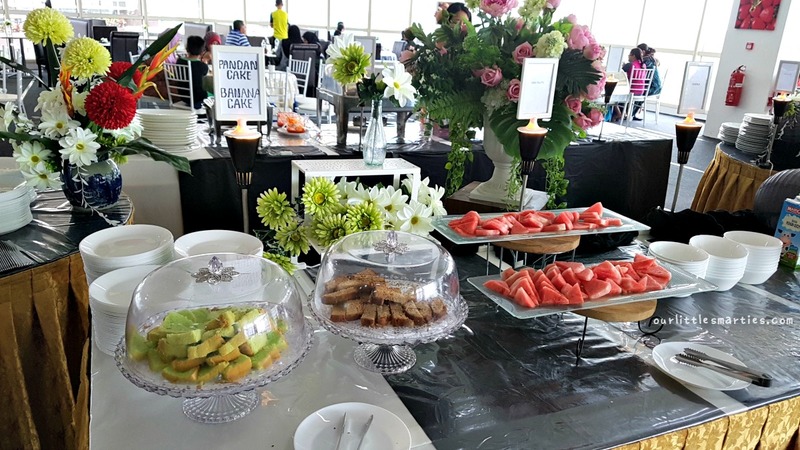 Breakfast is optional at RM21nett (adult) and RM17.50nett (children) per person. I didn’t opt for breakfast when I made my booking online. Since Mall of Medini is just opposite, I thought it would be easier to eat there and head to LEGOLAND. After all, more food choices is always better. Right? 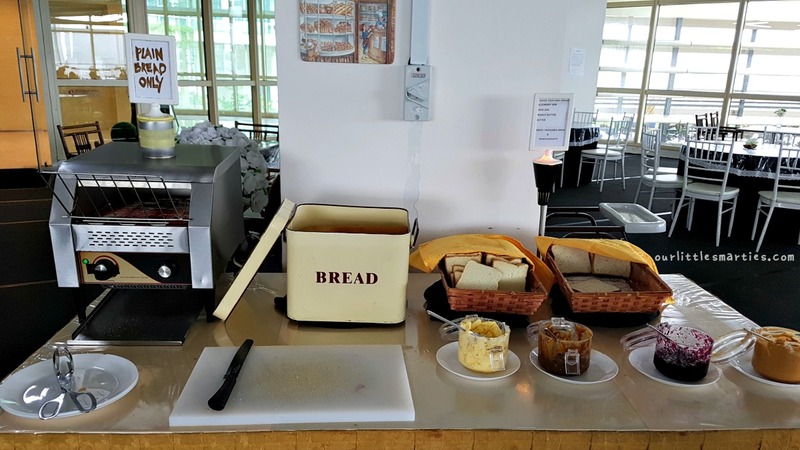 When we checked-in, I asked the staffs about their breakfast. I was told that its continental breakfast in a buffet-style, but the spread is moderate (not the hotel type of buffet). Unfortunately, it was raining very heavily in the morning. Thus, we had no choice but to eat our breakfast at their Breakfast Lounge. Turned out, the breakfast was below satisfactory. The food spread was very limited. There are fried rice, fried noodles, sausages, nasi lemak, porridge, bread, cakes, pastries, fruits, juices, coffee and tea. Not even an egg station! When I saw Edison pecking at his food, I knew I should have ordered food delivery instead LOL. Moreover, the Breakfast Lounge looked more like a temporary eating area to guests. Overall, it was a great stay. 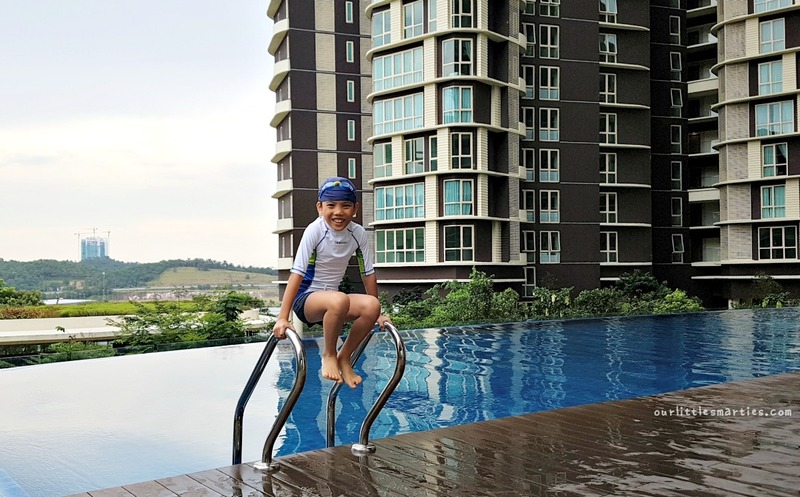 At just RM333 per night (including GST), it’s far more affordable than LEGOLAND Hotel – although I must admit that the experience of staying at LEGOLAND Hotel is totally unbeatable! The apartment is clean and comfortable. 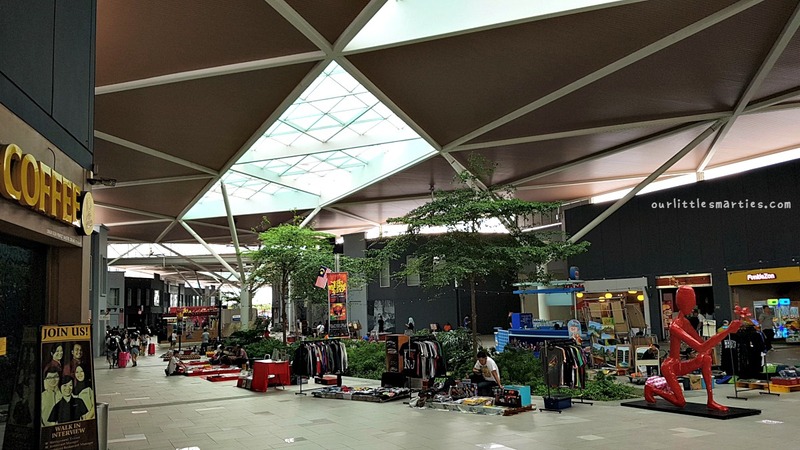 Mall of Medini is within 5 mins walk with plenty of eateries such as Old Town Ipoh White Coffee, Subway and KFC, as well as convenience stores. Will I be back again? Definitely YES! But I will give their breakfast a miss. 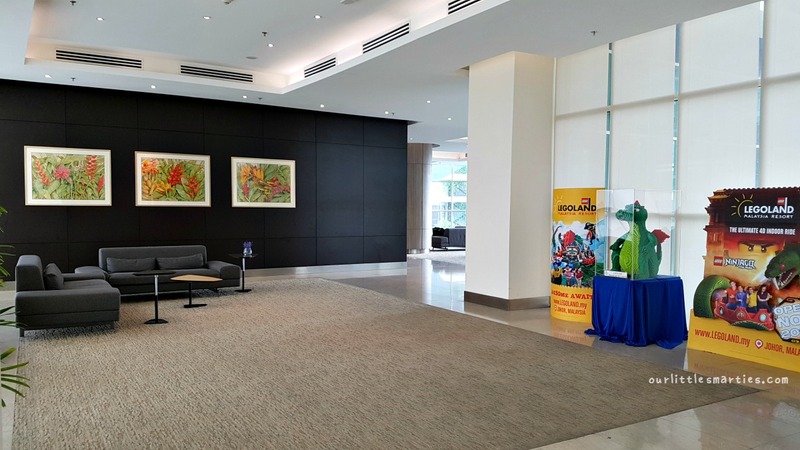 In summary, if you’re looking for an affordable serviced residence that is also family-friendly in Nusajaya, Somerset Medini Iskandar Puteri is a good choice. 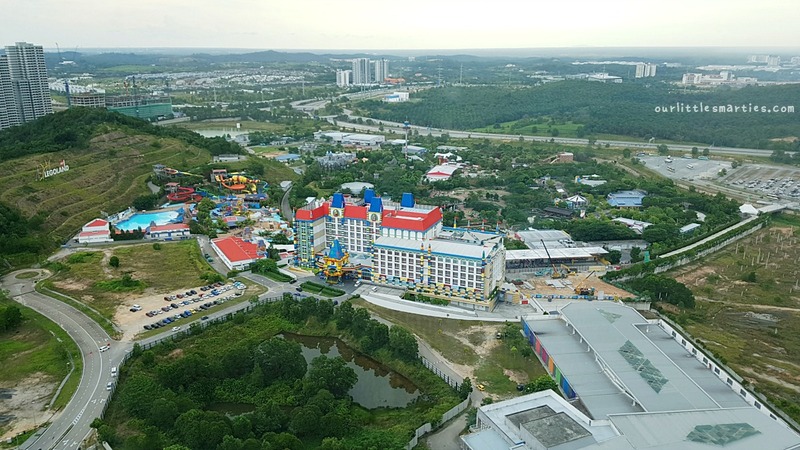 If you wish to visit LEGOLAND, do check out their LEGOLAND 2D1N Package – it may be cheaper to get your combo tickets here. Get discounted admission tickets to LEGOLAND as well as easy transfer from Singapore to Legoland / Hello Kitty Land from KLOOK.